The accusations against the man, Zakaria Kandahari, and the assertion that he and much of his unit are American are a new turn in a dispute over counterinsurgency tactics in Wardak that has strained relations between Kabul and Washington. American officials say their forces are being wrongly blamed for atrocities carried out by a rogue Afghan unit. But the Afghan officials say they have substantial evidence of American involvement. They say they have testimony and documents implicating Mr. Kandahari and his unit in the killings or disappearances of 15 Afghans in Wardak. Mr. Kandahari is of Afghan descent but was born and raised in the United States, they say. Included in the evidence, the Afghan officials say, is a videotape of Mr. Kandahari torturing one of the 15 Afghans, a man they identified as Sayid Mohammad. Afghan officials who have seen the videotape say a person speaking English with an American accent can be heard supervising the torture session, which Mr. Kandahari is seen conducting. An American official, speaking on the condition of anonymity in line with official policy, confirmed the existence of the video showing Mr. Kandahari but denied that he was an American citizen. “Everybody in that video is Afghan; there are no American voices,” the official said. What appears not to be in dispute, then, is that Kandahari is torturing the victim in the tape. The US claims no Americans are present and even that the voice identified by the Afghans as having an American accent is not American. But how can the anonymous US official know whose voice is the one in dispute? If the person is not seen on the tape, then the only way the American official’s claim could be true is if they carried out voice analysis on a computer and got a positive match with a person known not to be American. “Our efforts for the transfer of the US-run prison, years-long efforts, have eventually paid off and next week the transfer will at last take place,” Karzai told the opening of a new parliamentary session in Kabul. “This transfer of prison will take place on Saturday,” he added. Karzai on March 6 also called on his security forces to end incidents of torture and abuse of their countrymen. An investigation by the government last month unveiled widespread abuse in prisons run by Afghan forces. The findings backed a recent United Nations investigation that Kabul initially rejected. These words from Karzai on ending abuse in Afghan prisons are an encouraging development. Let’s hope the words are followed with action against those who have been involved in torture. If it does occur, this handover will be an important next step in the US transferring authority to the Afghan government. However, handover of the prison has been a very long process in which the US has bargained in bad faith. Back in November, Karzai lashed out at US deception in this process. Note also Karzai’s reference today to Afghans being “safe inside their houses”. 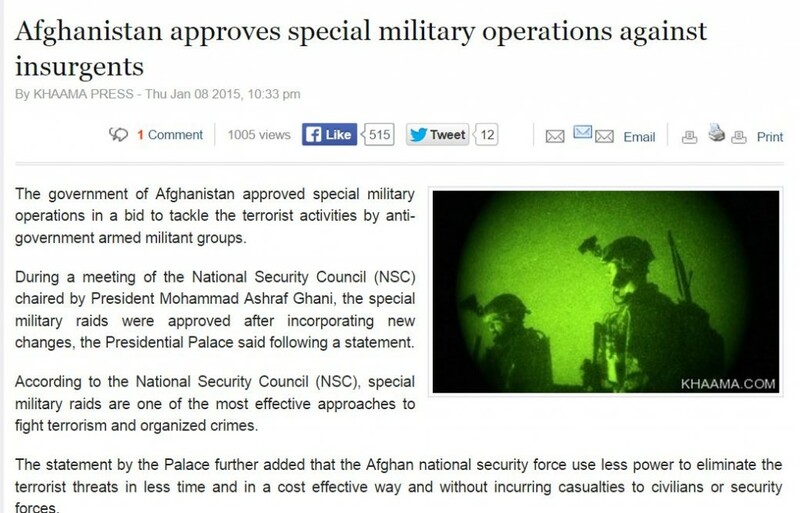 That is clearly a reference to the hated US practice of night raids, which Karzai has also been looking to end. Of course, US night raids are the primary source of innocent Afghans being in US-run prisons, so it should be no coincidence that Karzai would speak of innocents being detained and night raids in the same speech. It should also be noted that the US has a long history of secret prisons in Afghanistan and, as Marcy has noted, Obama still claims the right of indefinite detention without charges in Afghanistan, so don’t look for Saturday’s handover, if it occurs, to include those prisoners that Obama and Holder believe to be their most important, even if they can’t come up with a way to charge these prisoners with any actual crimes. Karzai’s move to release prisoners he says are innocent could well provoke a showdown. As I reported last April, the prison agreement (and the night raid agreement, for that matter, too) although described as giving the Afghans full authority, in reality was a sham that left the US with full veto power over the release of prisoners. Will the US try to prevent Karzai releasing these prisoners? Or will the US simply re-arrest them and take them to a facility still under US control? https://www.emptywheel.net/wp-content/uploads/2016/07/Logo-Web.png 0 0 Jim White https://www.emptywheel.net/wp-content/uploads/2016/07/Logo-Web.png Jim White2013-03-06 09:01:202013-03-06 09:01:20Karzai Claims Final Handover of Parwan Prison Coming, Will Release "Innocents"
This comes as US special forces and their interpreters were accused of misbehavior and humiliation of innocent local residents in Nekh district of Maidan Wardak province earlier in January. https://www.emptywheel.net/wp-content/uploads/2016/07/Logo-Web.png 0 0 Jim White https://www.emptywheel.net/wp-content/uploads/2016/07/Logo-Web.png Jim White2013-02-25 09:09:162013-02-26 08:31:59Karzai Expels Special Operations Forces From Afghan Province Over Program at Heart of Petraeus' "Success"